Pet parent Cheryl Bauer and Pearl chose to write an essay on Abraham Lincoln for his beliefs in freedom and love of animals. 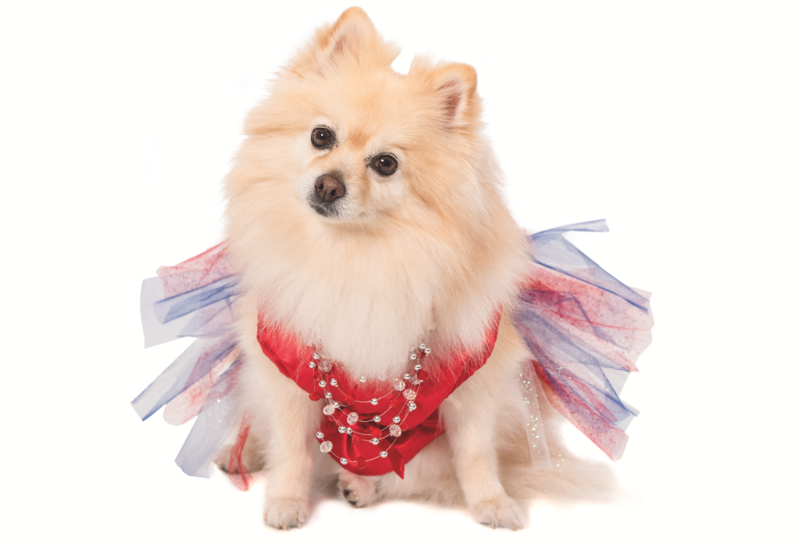 Pearl will be on the cover of the 2018 America’s Top Dog Model Calendar, plus receive a variety of other goodies, including a tiara and a couture ensemble. Cheryl said that Pearl’s “fairytail” came true the day Underdog Rescue rescued her from a puppy mill. She was then placed into foster care, which is where Cheryl adopted her in August 2015. Sweet Pearl is “definitely a Mama’s girl,” described Cheryl, “and she loves her Papa and fur-brother Kirby.” Cheryl said this calendar dog model spends her days learning all about soft squeaky toys, running around in the grass, and feeling safe and loved. The post We’re Obsessed With Pearl the Pomeranian, America’s Top Dog Model appeared first on Dogster.